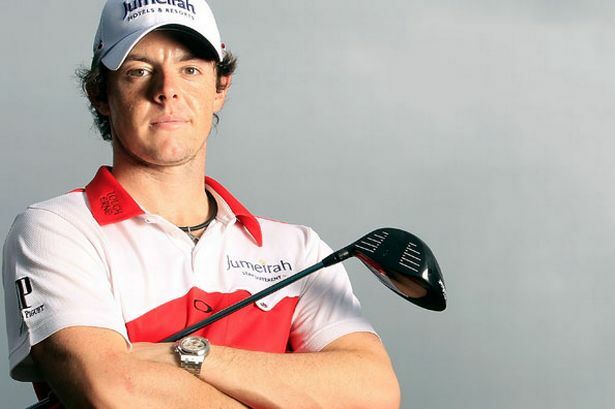 One man who has had huge success in recent years is the world’s best golfer, Rory Mcllroy. He is bound for the Olympics in 2016, but nobody knows who he will play for-- and therby hangs a tale. Rory is caught in the middle of an argument that hasn’t even happened yet and I feel sorry for him. We all know that athletes from the North can play and be part of Team Ireland or Team GB. In Rory’s case, he is damned if he does and damned if he doesn’t. We all know also that it doesn’t take much too up-set people on both sides of the divided and until now Rory has kept everybody happy, which he should get a gold medal for in itself! Rory says he is Northern Irish, which falls between two stools when it comes to the Olympic Games; he has neither nailed a flag to his pole or painted colours on his wall. He is a golfer and that is that! How come it can’t be just as simple as that? Well, because he is the top man in the golfing world and we all want him. For example I have an American passport but nobody called upon my services when I was in full bloom! The fact is that, if Rory was an ordinary golfer or athlete there would be no noise about this at all. For Rory though there is another issue other than where his loyalties are. On the international scene for instance I think he is seen as being more Irish, now I could be wrong but it just seems that way. I hear one commentator saying that he has "the luck of the Irish," he also has the look of the Irish! Haha. This could affect his brand and all his sponsorships, not to mind the big Irish following he has in the States and all around the world. Would they still follow him if he togs out for Team GB? I think they will, but will still be disappointed that he didn’t play for Ireland. What if he does play for us, the English, Scottish and Welsh might not miss him in the huge trawl they’ll have going to Brazil. The same can’t be said for the red, white and blue in the North. Rory’s ex-girlfriend has even added her spake! She says she always knew that he felt more British. There is no way she should have been stuck in this; she is only clinging onto whatever very small bit of fame she had. Then again paper doesn’t refuse ink, not even mine! I doubt the tennis pro took any notice, more like plenty of no notice I’d say. It’s a pity that sport can’t always elevate itself above politics and the like. In most normal circumstances it’s the connection between athlete and country that gets us going and puts fire under our emotions, but in places like the North where tensions are still high in some areas it’s not that simple. The Irish rugby team plays as an island and is supported by all sides on the island and there is no problem. It’s a shame the same can’t be said about soccer, we might have a half decent team if North and South came together and both sets of people might understand each other better. By the way I read in the paper today that McIIroy is an Ulster rugby supporter and also follows the Irish team. Now you can all make up our own minds, but to me all Rory Mcllory wants to do is play golf and doesn’t want make any big statements about whether he is orange or green, in fact he is the white between them!